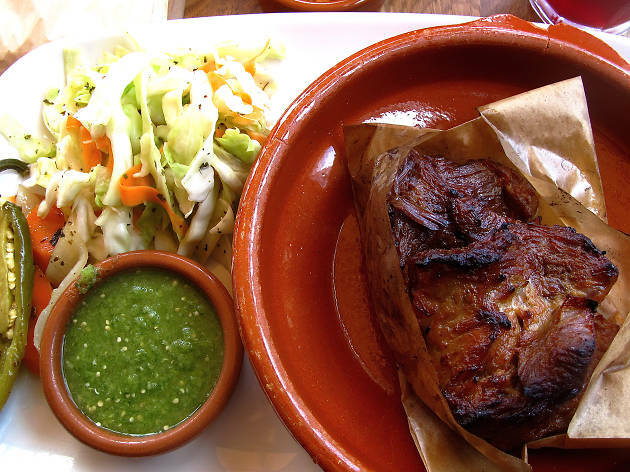 A offshoot of the popular, acclaimed Nopa restaurant, Nopalito offers authentic, from-scratch Mexican cooking made with local, sustainable and organic ingredients. This is the antithesis of slapped-together street food. 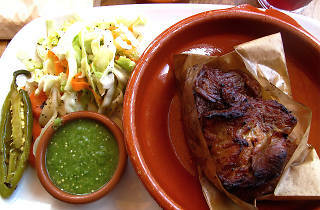 Dishes are carefully composed with subtle flavors to create deliciously complex interpretations of traditional Mexican meals: carnitas is slow-cooked and braised in orange, bay leaf, milk, cinnamon and beer; mole coloradito con pollo is made with toasted chiles, almonds, Ibarra chocolate, dried plums and a huge array of spices. Don't miss any version of tangy, tender nopales (cactus leaves), frequently on the menu in the form of tamales or in dishes such as queso flameado con chorizo y nopales (flamed Oaxacan and jack cheese with grilled cactus and chorizo).